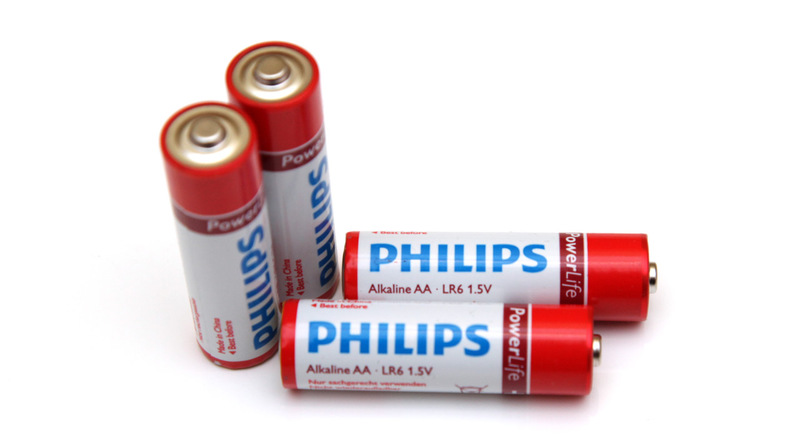 The 1.5V AA Philips PowerLife Alkaline batteries are the first batteries from the company that we are testing, so we were quite interested to get a look at how they perform compared to others as Philips is a well known name in the consumer market. The batteries were with an expiration date of 04-2016 and the manufacturer’s quoted shelf life for these batteries is 5 years, meaning that they were produced in 2011, so the capacity we get could be slightly lower than that of fresher batteries that were produced at a later date. We have started the test of the 1.5V AA Philips PowerLife Alkaline batteries as we normally do with a low constant current discharge rate of 0.1A and the result we got was 1986 mAh as capacity. Good level of performance that continues at 0.2A load, but the available capacity under higher loads as 0.5A and 1.0A is not that good, though these batteries still manage to perform decently. Apparently these Philips Alkaline batteries are intended mostly for applications not requiring too much power, and though they manage to provide some capacity in applications requiring more power, this is definitely not their strength.